Check out Who Are You. Right here. Meet your Neighbors. Suggest a new name. LOCAL NEWS - See a mistake or a typo? Please Let us know. Click to See What Happened Today in History | SEND US YOUR NEWS ITEMS - It's Easy. Click here. Senior Lunch Tuesday, May 20, 12:30 p.m.
publisher who has performed hundreds of shows throughout New England and New York, and with studio recording credits from New Hampshire to Arizona..
Maundy Thursday, April 18 at 7 p.m.: The service will be led by special guest and past pastor, Reverend Gina Colorio. Easter Sunday, April 21 at 10 a.m.: Reverend David Purdy will lead the service and be joined by the interfaith choir. The choir will be singing special anthems including, “Christ is Risen Alleluia,” “The Resurrection Proclamation” and “Proclaim the Message.”. The Frontier Girls Troop will host a spaghetti supper on April 27th from 5:00-7:00 p.m. at the Congregational Church. Prices are as follows: Adults $10, Children over 3 $6, and Veterans $5. There will also be a Chinese Auction and 50/50 drawing. Eagle leads two friends on a road trip through the Dakotas to uncover the strengths and sorrows of native life. The movie is based on the award-winning book of the same title that is now the yearly One Book South Dakota, which citizens of South Dakota are encouraged to read and discuss during 2019. Reservations are a must due to limited space. Call the library at 978-724-3405 to leave your name, call-back number, which day to attend, and how many. This event is free and sponsored by the Petersham Cultural Council. Recommended for older teens and adult viewers..
Go HERE for a permit to burn brush. The Petersham Art Center has several spring classes coming up. All classes are held at the Petersham Art Center, 8 North Street, Petersham. Call 978-724-3415 for more information and to register. Wednesdays, March 27, April 3, 10, 17, 24, and May 1, 6-8PM. Learn the art of fly tying from Bill Manser, member of Trout Unlimited, Millers River Chapter, and instructor for fly fishing with Veterans Outreach. You will learn fly tying techniques for capturing northeast trout and others. Get ready for the spring fishing season! $60 members/$80 non-members/$20 materials fee. Resident stickers for the transfer station are available at the Selectboard office. The cost is $25.00 cash or check made out to Town of Petersham for 2 stickers only. The new stickers are yellow. Petershamcommon.com has been putting local Petersham news and information online since 1996. This website averages 10,000 page views each month - more than any other source of local Petersham news. It is a good place to spread the word about community events so all can see. There is an Opinion Page open for thoughts and comments from everyone -- just like Letters to the Editor in a newspaper. 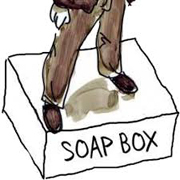 This website is NOT an official outlet for town government. It presents fact-based reporting about town government and news about local events. The site is updated nearly every day, so please put us on your list when sending out your news. Simple text e-mails listing who, what, when, where and why do nicely - no PDFs and no posters please. Sturdy and stylish, reusable Friday Market shopping tote bags that can be used on any shopping trip are now available at The Country Store, at Quabbin Woods and at the Memorial Library. 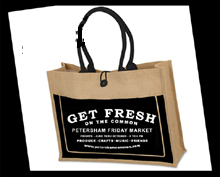 Or request a bag by e-mail to fridaymarket@petershamcommon.com. These commodious totes are available for a donation of $10 or more to support the 20-week Friday Market music program on the common. The market opens again on June 7, 2019 and each Friday through October. The Valuation and Taxes of the Town of Petersham for the Year 2016 booklet is available at the Petersham Town Offices at the Board of Assessors Office, the Selectboard Office and the Petersham Memorial Library during regular business hours. Interested Petersham taxpayers are invited to pick up a free copy. egular start time at 6:30 p.m. unless determined otherwise for circumstances. Additional meetings may be scheduled as the need arises. Tuesday April 9 6:30 p.m.
Tuesday April 16 6:30 p.m.
Tuesday April 23 6:30 p.m.
Tuesday April 30 6:30 p.m.
Petersham Town Offices, 1:30 p.m.-2:30 p.m.
As presented to Selectmen on April 16, the fiscal 2020 Center School budget will exceed $2 million for the first time at $2,020,105. The current budget is $1,946,442. The budget is nearly double the sum suggested by the state as sufficient to provide an adequate education to 70 local and more than 30 school choice students from other towns who attend the school. The fiscal year begins July 1. Dan Hayes, director of finance and operations, told the board that the separate Mahar Regional budget will be presented on April 30. For the Center School, Hayes said all expenses for the school are up $73,000 or just 3.78 percent. State aid support has been flat for several years so local taxes have covered increases, he said. School salaries account for about half or $1,020,000 of the total budget. Contract negotiations with teachers and other employee unions are nearly completed and could include two percent pay increases, School Committee member Lynn Peredina said. Peredina, also a member of a regionalization study sub-comittee said plans to completly regionalize the school district will likely not be ready to present to town meeting in June because there is not enough time to schedule required public hearings. The posters will be on display at the public Arbor Day celebration April 28 on the Petersham Common, from 10:00 a.m. to 12:00 p.m.
To prepare students for the contest, members of the Petersham Forest and Shade Tree Committee joined educators from the Harvard Forest to present an integrated art and science program for the fifth-grade class. The program included a discussion of the many services trees provide, an interactive activity about how plants and animals are connected in ecosystems, and an art lesson on how to draw a tree. A combined, all-day "Petersham Earth Day-Arbor Day 2019" series of events, games, and programs for people of all ages are scheduled for Sunday, April 28, starting at 10:00 a.m. on the Petersham South Common as members of the Petersham Forest and Shade Tree Committee planttrees in memory of Alan Bachrach, Stephen Boudreau and Brian Miner and provide free ironwood tree seedlings as long as supplies last. The committee will also provide a map and clues as part of a "Trek des Tree" exploration of trees and local history in a self-guided walking tour, where you can earn points at each tour stop for prizes. At 10:30 a.m. a Petersham Unitarian Earth Day program will begin with an interactive "Teach-In" under a big blue tent. "An Earth Day Perspective: The Ritualist, The Native American, The Farmer, The Student, and The Professor" will feature ritualist, Katja Esser; local farmer Jess Cherry; Nipmuk Tribal member and chair of Nipmuk Cultural Preservation, Inc., Fred Freeman; student, Anthony Brogno and Larry Buell, professor, and program moderator. Each will share their perspectives on Earth Day. Following a pot luck lunch starting at noon in the Petersham Unitarian dining room, Julie Rawson, the Executive Director of NOFA Mass, and co-farmer at Many Hands Organic Farm will kick-off the afternoon programs, starting at 1:00 p.m. with a PowerPoint presentation and talk on No-Till Carbon Sequestration Gardening. Over the years, Julie and her husband, Jack Kittredge, have experimented with various tillage practices. Julie will offer insights into the challenges of moving to a no-tillage, more carbon sequestering operation. Many Hands Organic Farm is a 70-person CSA which raises and sells pasture-raised eggs, broiler chickens, turkeys, beef, and pork. At 2:00 p.m., Abbie Coffin White's talk on "Amber Waves of Grain Grown in Hardwick" will focus on growing and milling wheat locally as well as the history of the region where growing wheat and other grains was commonplace and communities got together to harvest the crop. White will also reveal how Roundup and other toxins are used in commercial production of wheat to keep down pests during transportation and storage, which may account for allergic reactions due less to gluten and more to pesticides. At 3:00, journalist-novelist Rebekah L. Fraser will describe her most recent publication, "A Farmer's Guide to Climate Disruption" which provides insight into how you can thrive in the changing climate by using produce growing methods that stem the tide of climate change while regenerating your land. At 4:00 p.m., David St, Germain will introduce attendees to the movement known as "Extinction Rebellion," a response to the unprecedented global emergency presented by climate change. The Petersham Earth Day-Arbor Day 2019 events are free and open to the public. Events are sponsored by the Petersham Forest and Shade Tree Committee and the First Congregational Parish Unitarian, Petersham. For further information, contact Genevieve Fraser at (978) 544-1872. 03/03@10a Resident call re: paw prints in yard, not present the day before. Confirmed large breed dog, contacted potential dog owner, dogs home. 03/07@4p Resident call re: cows without water or hay for 2-3 days and no evidence anyone has been to care for them. In touch with Marc Page, inspection done. Owner contacted and situation resolved. Ongoing monitoring will continue. 03/10@8:30a Resident call re: ferret looking animal in house. Instructions given about safely removing a weasel. 03/12@9:30a Resident call re: weasel in chicken coop. Aid given to get chickens relocated to another property. 03/18@11:30a Resident call re: raccoon in empty rabbit cage located within chicken coop. Resident has seen raccoon near coop for several weeks. Animal dispatched. State Lab contacted, details given, and Lab stated there was no need to submit specimen. 03/18@2:30p Resident call re: loose horses in road. Assistance given to return horses to farm. 03/19@5:30p Resident call re: loose horses in road. Assistance given, fencing to be repaired. 03/25@8a Resident call re: cat in tree that will not come down. Advice given, cat came down. 03/25@1:30p Loose dog on N Main Street. Spoke with passerby who stated dog was following for about a mile. Dog brought to shelter. Spoke with contractors doing work in area, owner located and dog picked up by owner. 03/28@12:15a Call from Barre PD, request to shelter dog in Petersham. 03/28@12:40p Dog transported to Petersham Animal Shelter. Dog cared for during day, microchipped checked, spoke with the dog’s veterinarian to confirm ownership. 03/28@6p Above dog returned to out of town owner. 03/30@11:30a Resident call re: lost dogs that got out of house without owner knowledge. PAWS and FB alerts sent. Flyers generated. Both dogs found safe in afternoon. 03/30@6p Barre resident call re: lost dog. eat small rodents and rabbits. Utility company crews have begun working to upgrade selected utility poles along Route 32 (North Main Street) to make way for the town's planned broadband system. The "make-ready" work began on April 3. Chip Bull, broadband committee chair, said the make-ready work is set to be completed by the middle of June now that the state has promised an $880,000 reimbursement when the system is fully up and running. The town has borrowed more than $1 million to fund the work and expects to be repaid.at the end of the project. Towernorth Development, which plans to erect a cell tower near Quaker Drive, will conduct a three-day "balloon test" from 9 a.m. to 3 p.m. starting on April 23. The test runs for one weekday and that weekend. The company is now asking permission to test visual impact of a proposed 160 foot tower (prior approval was for a 90 foot tower). The demonstration is intended to provide Petersham a chance to see where the tower will be built and to assess its potential visual impact. If bad weather forces a cancellation of either or both of the weekend demonstrations, an additional weekend day demonstration will be held Saturday, May 4 and, if necessary, Sunday, May 5. The tests involve floating a tethered balloon from the site to the planned height of the proposed tower. The local zoning board approved the tower project nearly two years ago. Town Treasurer Dana Robinson told Selectmen March 26 that the way is finally clear for the $800,000 borrowing needed to start installing the town's planned broadband system. Utility crews will be in town starting in about a week to work on utility pole improvements where needed. The town will pay about $8,000 more than expected for the one-year loan because the town does not plan to own the system, he said. The state required the town to put the construction money up front and plans to reimburse the town when the work is done. Reimbursement from the state is expected when the system is fully operational late this year, he said. Selectboard Chair Nancy Allen, also a member of the broadband committee, said Matrix Design is ordering needed parts and fiber cables for the system. She said the committee will provide frequent updates as the work progresses. The board opened the warrant for the June 4 town meeting. Articles can be added until May 2 at noon. The board has been working on a proposed budget for fiscal 2020 and expects capital requests for a police cruiser and a fire truck to be presented to the Capital Improvement Planning Committee in April. Town departments were asked to level fund their budgets where possible. The board nominated Animal Inspector Marc Page for re-appointment to the position by the state. The Historic District Commission approved plans for a handicap lift system in town hall at a March 25 hearing. The project will connect the upper and lower halls with a lift system andwill also provide access from outside the southwest corner of the building. The outside appearance of the town hall will not be significantly altered. The installation will be paid for mostly by a $70,000 grant from the Massachusetts Office of Disability. The project is headed by a Town Hall Handicap Access Committee headed by John Woolsey. The work has to be completed by June 30 to qualify for the grant. The Historic District Commission March 21 voted 5 to 2 in favor of a plan to install 83 solar panels on the Country Store roof. Chair Nancy Allen and member Christine Mandel voted against the proposal. Cynthia Henshaw, executive director of East Quabbin Land Trust, the building owner, said the panels could help reduce the store's utility bills and help assure the business will remain healthy. Ari Pugliesi, who owns the store business, said the panels could cut the store's current $1,000 a month electric bill by up to 60 percent and could help with the cost of adding more air conditioning. Allen said the commission was being asked to "...trade off a little bit of our history." The Commission regulates exterior changes proposed to buildings in the town center. Mandel said the application was "extraordinary." "It would be the first building in the historic district (to be equipped with solar panels). The historic district is meant to be different from the rest of the town," she said. Candace Anderson, who lives on North Main Street and in the historic district, urged the commission to "... consider the well being of the community" and cited the impact on the town when the store closed for a time. Jordan O'Connor, a local architect, said the solar panels going on the Country Store roof "... do not cause destruction of (the store's historic features and it is reversible." Members Robert Clark, Vice Chair, Claudette Bishop, Jeremy Gabrenas, Melissa Martinez and Lynn Shaw voted to approve the project. Selectmen Tuesday Mar 12 voted to offer Sherry Berube of West Street the part-time position of Administrative Coordinator and to advertise to find another person to replace Sherry as part-time assistant in the office. The board said the move will allow the Selectboard office to be open four days a week from 8 a.m. to 4 p.m. and closed on Fridays. Berube was the first runner up in 2012 when the late Steve Boudreau of Barre took over the job and more recently served as Boudreau's part time asistant. The board met with Fire Chief Dana Robinson and Town Clerk Diana Cooley to discuss upcoming budget requests. Cooley said the elections budget will go down slightly because 2019 is "a light year." She said the low turnout of six percent of voters for town elections on March 4 "...probably cost us $30 per vote." The total town clerk expense budget will fall from $17,640 to $16,485. Final totals are pending a determination of cost of living adjustments. Fire Chief and Town Treasurer Dana Robinson said he will be seeking a new fire truck this year to replace a 40-year-old pumper. He projected the cost at $280,000 if approved. The fire department budget will rise from $30,725 to $31,126 in fiscal 2020. The 2020 budget year begins July 1. The board learned that Petersham will be receiving up to $250,869 in state Chapter 90 highway construction funds in fiscal 2020. The Historic District Commission Feb. 21 approved changes to an exit door from The Country Store's rear seating area intended to improve fire safety. The Commission also scheduled a public hearing for March 18 (7 p.m. at the library) on plans to re-work an exterior door at the town hall to make way for a handicap lift system that will serve both upper and lower halls. The Town Hall Handicap Access Committee recently got notice that the state will fund $70,000 of the $80,000 estimated project cost. The committee has received a grant from the Massachusetts Office of Disability to install a lift system inside the building that will connect the upper and lower halls and provide access from outside the building as well. An existing door on the south front side of the building will be moved lower but no major exterior change is planned. Terms of the grant require the project to be completed by June 30. The East Quabbin Land Trust, which owns the Coutry Store building, filed the application. Cynthia Henshaw, the trust's executive director, said the goal is to increase the store's safety." The re-made door will fit in with the store building's current look, she said. The commission also scheduled a public hearing for 7 p.m. March 21 on the trust's application to install 86 solar panels on the building's south-facing main roof and ell that could reduce the store's electric consumption by 62 percent. Henshaw said the project is intended to "keep the store sustainable." Henshaw and Ann Lewis, a member of the trust Administration and Finance committee, said the plan is to install a total of 86 black solar panels on the two roofs. Lewis said the cost of the project, "... is not for publication." But she said the estimated cost of the solar panels has jumped 25 percent recently, "...probably because of tariffs." Mass Department of Revenue has certified the town's fiscal year 2019 Tax Rate at $16.93 per thousand. 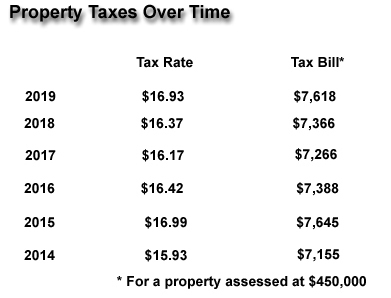 The 2018 rate was $16.37 per thousand of assessed value. The increase is .56 cents per thousand of value. Petershamcommon.com keeps you informed. Join the E-mail list to receive very occasional updates and reminders of important dates like meeting times, elections, when to get a new dump permit and so on. The e-mails from petershamcommon.com will be occasional. They won't often be long-winded. E-mail addresses will not be shared with any third party - not ever.